A Missoula family’s home was a total loss in a Friday afternoon fire on West Broadway. 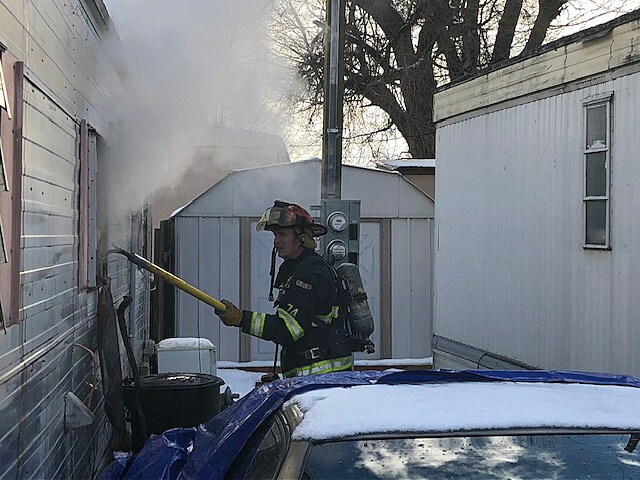 City Fire Chief Jeff Brandt said the 2 p.m. blaze was quickly knocked down by responding firefighters, who found heavy smoke coming from the roof when they arrived at 2302 W. Broadway, No. 16. The single-wide trailer home’s owner had escaped, and reported that no one was inside. Firefighters forced their way into the back of the trailer, despite the heavy smoke and flames, Brandt said. The fire was quickly quelled, but had already destroyed the home. Brandt said water supply was briefly an issue, but firefighters were able to “hand-log” a 5-inch supply hose about 300 feet (and over a 7-foot fence) to connect to the first engine company on the scene. The cause of the fire remained under investigation on Friday night. 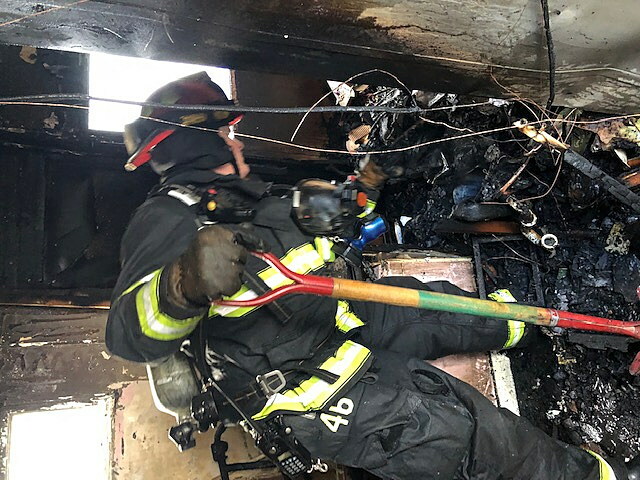 Brandt reported that firefighters remained on the scene for a couple of hours, searching for any hot spots and finishing salvage work.